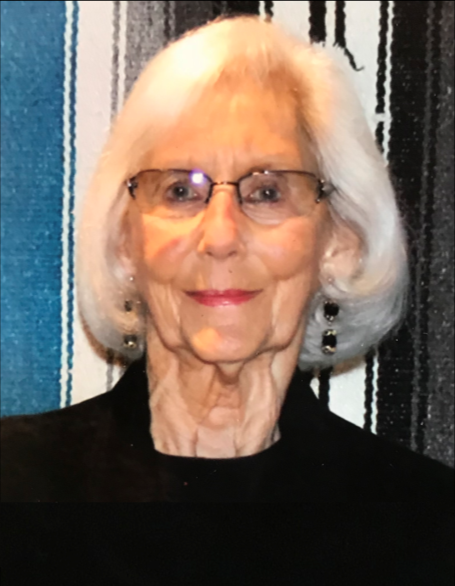 Obituary for Dolores L. Horn | Munden Funeral Home & Crematory, Inc.
Dolores L. Horn, 88, of Morehead City, passed away peacefully Tuesday, April 16, 2019 at her home, Carteret Landing Assisted Living. A graveside service will be held at a later date at the Violet Hill Cemetery in Perry, Iowa, where she will be buried with her loving husband, mother, father, and stepfather. Dolores was born on her family farm in Dawson, Iowa on June 21, 1930. She graduated from Redfield High School with the class of 1948. She received her Bachelor's degree in Elementary Education from University of Iowa, where she met her husband Roger as a freshman. They were married on St. Patrick’s Day 1951, and at the time of his death in 2008 had known each other 60 years and had been married for 57 wonderful years. She was an avid University of Iowa Hawkeye fan throughout her life. She and her husband attended football games for over 40 years. They had many fun travel experiences following the University of Iowa football team for numerous bowl game appearances throughout the years. She also enjoyed tennis and golf and developed lasting friendships in Iowa and at their winter resort of Silveridge, Arizona. She taught children at New Providence Community School, Rockford Community School, and West Marshall Community School. She retired from West Marshall Community School in 1989 after 32 special years as an elementary teacher in Iowa. Dolores absolutely loved teaching third grade and touched the lives of so many children. She continued to hear from her adoring students for decades after her retirement. After retirement, Dolores volunteered at the Marshalltown Medical and Surgical Center for 20 years. She served on the Auxiliary Board, and later on the Board of Trustees for 13 years. She was a member of the Home Care Plus Advisory Board, Community Health Advocacy Team, as well as other volunteer positions. Dolores enjoyed being an active member of many clubs and organizations during her life, including: First United Church of Marshalltown, Joy Keepers, Delta Nu Study Club, Delta Kappa Gamma, National Education Association, and University of Iowa Alumni Association. She was a very proud member of Iowa PEO for 40 years in Chapter CF. In 2014, Dolores relocated to North Carolina to be closer to her son, granddaughter, and two of her great-grandchildren. After carefully choosing the perfect church, she became a member of St. Peter’s United Methodist Church of Morehead City. She felt blessed by her caring church family and cherished the many friends she made, including her dominoes group and Bible Study. She also continued her dedication to PEO in Chapter CK of Morehead City, and later became a charter member of Chapter CY at Pine Knoll Shores. She felt very fortunate to have so many special PEO sisters in North Carolina. She is survived by her son, Jeff G. Horn of Atlantic Beach; sister-in-law, Rosie Peters; four grandchildren, J.P. (Coleen), Matthew (Amanda), Courtney (Melissa), and John (April); nine great-grandchildren, Carey, Brigid, Ray, Charlie, Yasmine, Nika, Elise, Nate, and Damen; and many special nieces and nephews. Dolores was preceded in death by her father, Marvin Peters; stepfather, Clyde Corbin; mother, Mildred Peters-Corbin; brother, Darrell Peters; husband, Roger Horn; and daughter-in-law, Sue Horn. Dolores will be missed by many. She could talk to anyone and always made them feel better. As a good friend summarized, “she was such a delightful person, and just being in her presence made my day.” She was very grateful for the friends she made at her new home, Carteret Landing Assisted Living, and the family wishes to extend their gratitude to all the staff who helped her in so many ways. The love and compassion shared with our family will always be remembered. Memorials may be directed to St. Peter’s United Methodist Church at 111 Hodges St., Morehead City, NC.